Is this claim factual? No. How outrageous is this claim? It’s quite ridiculous. At worst it’s intentionally misleading; at best and more likely, it’s a mistake that’s been left uncorrected for a long time. Without going into further background/private conversations, it’s something the University of Minnesota should finally correct. Minnesota wants to talk up their new athletic director. The U stating that Norwood Teague had an “ultra-successful” run as director of athletics at Virginia Commonwealth University doesn’t bother me. Is “ultra-successful” going a bit overboard? Probably, but it’s subjective. However, when the Gophers claim that there is a new practice facility being used by the VCU basketball programs, it’s either factual or it’s not. In this case, that claim is untrue. A hot topic that has surrounded Gopher basketball has been the need for a new practice facility. In fact, the former AD at Minnesota took a lot of heat for not getting anywhere with a new facility. Now, Teague takes over and receives praise for his experience in successfully doing exactly what Minnesota has needed – having a new basketball practice facility built. Now it’s late October 2012 and the new AD at VCU has been trying to lock down a lead gift for the project to get the fundraising started. Two nice gifts are rumored to be close to being pledged, but it could be many years before VCU has a new basketball practice facility. There have been a number of questionable attributions to Teague by the U of M and some of the press, but let’s stay away from most of those for now and let him do his job. We’ll soon see if he can get some things done in the Twin Cities that are truly deserving of praise. But please, Minnesota, how about a quick edit on Mr. Teague’s biography page? The state of Minnesota continues to produce impressive basketball talent, including those who stay home and play for the Gophers. However, with so many skilled players and some excellent high school and AAU programs, there are numerous student-athletes from the state that join Division I programs across the country. In 2012-13, a number of Minnesotans will be difference makers at their respective schools. Today, we highlight several players who look primed to take sizable steps forward in their collegiate careers. Not recognized nationally or in Minnesota as much as is probably warranted. Extremely efficient offensive player who shot 67.1% FG% last year. Bjorklund doesn’t turn the ball over and is a very good on the offensive boards Tough, solid interior guy. The Gophers will host NDSU on December 11. Now a veteran at UWGB, he’ll need to lead a UWGB team that should be much improved compared to last year’s 15-15 team. His game should continue to expand under third-year head coach Brian Wardle (Marquette, 2001). It’s a huge year for both Brown and Wardle and one in which both of them are capable of earning national recognition. With his skills and a bit more bulk, Brown could find himself on NBA draft boards. Quietly very productive off the bench last year, he’ll look to prove just how good he can be in 2012-13. Zags center Robert Sacre was drafted by the Lakers this summer, giving Dower a great opportunity to impress. High-flying 6’6” forward played his first year of D1 basketball last year at Oregon with Gopher transfer Devoe Joseph. Emory is a big time athlete that will regularly make the highlight reel. 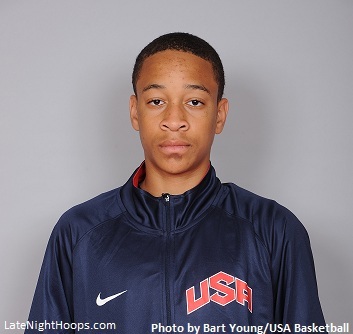 With Tim Frazier on the team and transfer D.J. Newbill now eligible, Travis may not see his offensive usage go up tremendously, but he’ll be improved as a sophomore and should have a strong career at PSU. Minnesota plays Penn State in Minneapolis on either March 2 or 3 (date to be determined). With an always impressive motor and significant added strength, it’s only a matter of time before Jonah shines at Harvard. Moats didn’t see much playing time on a highly talented and senior-heavy team last year, but will be called upon often this year. Received a medical hardship waiver for 2010-11 season and played just 23 games last year before breaking an ankle. Noreen can be a prolific scorer and a match up problem for opponents at 6’10”. Mike Muscala, Bucknell, Sr, F/C: 17.0 ppg, 9.1 rpg. Muscala has impressed every year, but was superb as a junior. A strong senior season for the Bison could help his chances of reaching the NBA. Nate Wolters, South Dakota St., Sr, G: 21.2 ppg, 5.9 apg, 5.1 rpg. Wolters is an ultra-productive point guard with good size. Some NBA teams will want to consider him next summer. Wolters & SDSU visit Williams Arena on December 4. 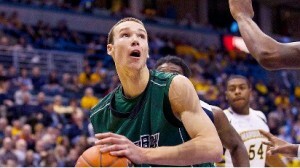 Trent Lockett, Marquette, Sr, G: 13.0 ppg, 5.8 rpg (with Arizona State). Big guard could be a difference maker in Milwaukee. Jared Berggren, Wisconsin, Sr, F/C: 10.5 ppg, 4.9 rpg. Versatile 6’10” big man looks to build on solid 2011-12 performance. The Gophers play at Wisconsin January 26 and host the Badgers on February 14. Mike Bruesewitz, Wisconsin, Sr, F: 5.6 ppg, 5.1 rpg. Bruesewitz is a high-energy worker who may increase his offensive production now that fellow Minnesotan Jordan Taylor has graduated.